If you've ever spent time with toddlers, you know how high-energy these tiny humans can be! And how quickly smiles can turn to tears when nap time is delayed, a favourite toy goes astray, or the little one starts missing mum. To say babies and small children are unpredictable would be a major understatement. But if working as an early childhood educator (ECE) is your true calling, you're up for the challenge. After all, you're shaping the next generation. You're helping kids develop a love of learning, and teaching them how to grow more independent and confident each day. You're guiding them on the principles of sharing, cooperation, honesty, and friendship—basically, how to be good member of society. When parents drop their kids off at daycare or preschool each morning, they're entrusting them to your care. It's your job to keep them safe, help them progress intellectually, socially, and physically, and make sure they don't run wild, "Lord of the Flies" style. ECE's must strike a very delicate balance between order and spontaneity. You want your kids to enjoy themselves, but at the same time, if you don't keep things in check, you'll have total chaos on your hands. So, what are some techniques you can use to manage a really busy daycare, but still leave room for lots of fun? Here are some tried-and-tested tips to keep in mind. Routine and structure are the backbone of every successful daycare. Why is routine so important for young children? Because routines teach children what it is expected of them. And this helps them feel secure. A predictable schedule tells kids what will happen next, how to prepare for those activities and events, and to respect the structure of the classroom (all key things needed to get them ready for elementary school). You might need to outline a few "snack time" rules, like no running around while eating, or leaving a big mess behind. Let kids know what behavior you expect, give clear examples, and plenty of room for practice. If you're running, or helping to run a busy daycare, structure and routine will be a huge life-saver. The time you invest in mapping out a schedule, and thinking through key steps and rules, will pay off big, each and every day. One of the first rules of creating a daycare schedule, is to make sure it leaves room for spontaneity. It might seem counterintuitive, but for kids, structure only works if they get to contribute a few ideas. Being too rigid will take all the joy out of learning and exploring with your kids. A daycare is not a military academy! When you're setting up your weekly schedule, create some space for the kids to choose activities and outings. Has the weather suddenly become warm? Maybe you can put aside your plan for the afternoon, and take the kids to the park instead. Are the children really enjoying building snowmen and snow-forts in the yard? Why not extend play time for 10 minutes or so. Observe, adapt, and be flexible. This is how truly effective early childhood educators create fun and fruitful learning environments. When you're setting up your daycare space, think about the games, toys, and materials kids will be using on a regular basis. Instead of storing these on high shelves or out-of-reach cupboards, put them where your students can get at them easily. This way, your help won't be needed to access the items, or put them away during clean-up. Obviously, depending on the age-groups you're dealing with, you'll need to be mindful that potentially dangerous objects are stored safely. Things like glue or scissors, or small items that could pose a choking hazard, should be monitored closely. But most toys and games can be kept neatly in places where the children can serve themselves. Organize activity stations around the daycare, so students can move from one task to the next, and easily access materials for each station on their own. Tip: Label storage shelves and boxes with both words and images, so children know exactly where to put away their materials after use. Remember Mary Poppins' brilliant clean-up games, and "Spoon Full of Sugar" tricks? These are tactics most parents know well: turn a chore or dreaded task into a game, and suddenly everyone wants to take part. Daycares and preschools are packed full of learning tools, books, games, art supplies, crafting items, and toys. It doesn't take long for these objects to get strewn all over the place, which at best poses organizational problems, and at worst, safety hazards. Instead of just telling kids to clean up after themselves, have set times during the day where you host tidy-up games. Make it a competition, were groups try to out-clean each other before a timer goes off. Or, create a reward system, where kids who consistently clean up without being asked get to choose a small gift from a grab bag at the end of each day. Take a page from the Mary Poppins playbook, and sing (or play) a clean-up song every time you need to tidy up the space. Not only will you benefit hugely from the help, you'll be teaching your little ones responsibility and cooperation. Nagging and punishing won't get you far with organizational chores—and will quickly bring down your mood and tire you out (not good for anyone). On the other hand, positive reinforcement will get kids helping with these key tasks voluntarily, and even make it fun. It's a simple, time-honoured technique, and definitely worth trying at your first job after ECE training. Are you looking for more information on running a daycare, or becoming an early childhood educator? 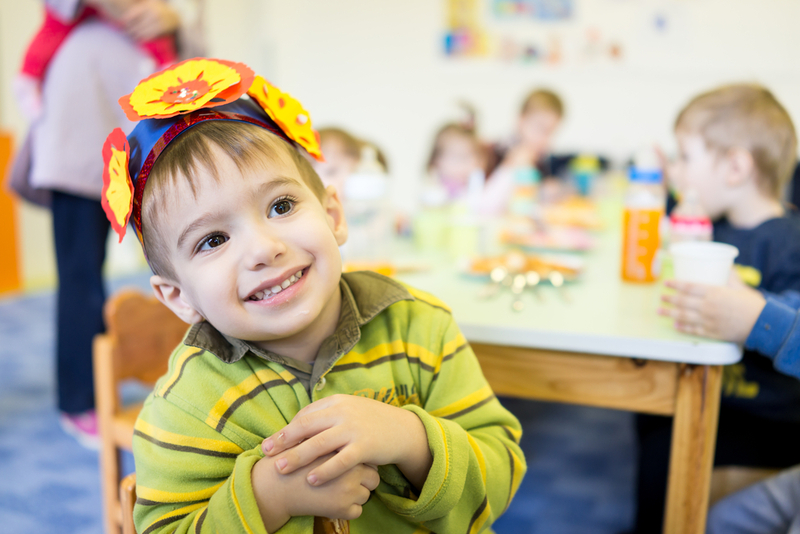 Considering early childhood education training, and need advice on programs and diplomas? We'd love to hear from you. 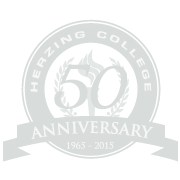 Use the links below to learn more about Early Childhood Education Programs at Herzing College—and get helpful advice planning your next steps. Get fast, free information about courses, admission requirements, tuition, and much more. An advisor will be in touch to answer your questions, and help you determine if this program is right for you. See a detailed course list, learn more about the program, and chat live with an experienced admissions advisor. We're here to help!